It's not a myth — the Loch Ness Monster has turned up in, of all places, Louisiana. According to the New York Daily News, Louisiana's Eternity Christian Academy is using a textbook that asserts the monster is not only real, but that its existence disproves evolution. What's more, the school is eligible for taxpayer funded vouchers, thanks to a bill signed by Republican Gov. 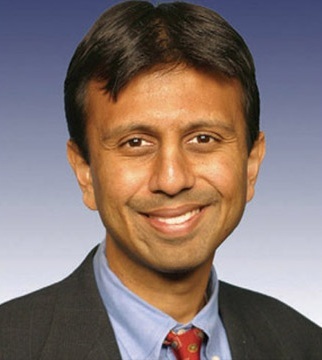 Bobby Jindal that strongly resembles model legislation drafted by the American Legislative Exchange Council (ALEC). But that's only part of the outrage from critics: Students who are eligible for taxpayer-funded vouchers will be allowed to attend Eternity Christian Academy in Westlake for the 2012-13 school year, according to reports. The startling claim about Nessie's authenticity is made to bolster creationism within the textbook, the Scotsman newspaper reported Monday. The Loch Ness Monster is described as a type of dinosaur, and if dinosaurs and man co-exist, then presumably there would be holes in the scientific argument for evolution. Louisiana Gov. Bobby Jindal, a Republican, advocated for the voucher plan, telling Reuters, "We are letting parents decide what's best for their children, not government." The sweeping changes aimed at improving Louisiana's failing public schools are new to the state, but they are not new. The changes signed into law in April — on teacher effectiveness, tenure and accountability; on charter schools, vouchers and other school-choice tactics; and on systemic changes to early childhood learning — all reflect the strategic thinking of one of the nation's most active conservative public-policy organizations. Reading Gov. Bobby Jindal's education legislation — passed by the state Legislature in House Bills 974 and 976 and Senate Bill 581 — is akin to reading model bills drafted by the American Legislative Exchange Council. Whether ALEC, or any other such tax-exempt entity, does "too much lobbying" is a matter of annual scrutiny by the IRS. Either way, ALEC has plenty of influence. Some say Jindal likely based his education legislation on models drafted by ALEC, which in August 2011 awarded Jindal the Thomas Jefferson Freedom Award for public service. Kyle Plotkin, a spokesman for the governor, says that was not the case. Earlier this month, Reuters described the education plan as "the nation's boldest experiment in privatizing public education," and noted that the voucher program would cover "the full cost of tuition at more than 120 private schools across Louisiana, including small, Bible-based church schools." Stakes escalated last week when, to the frustration of some lawmakers, the Islamic School of Greater New Orleans applied for federal funds under the voucher program. Republican state Rep. Kenneth Havard objected to the Islamic School's request for 38 government-paid student vouchers, saying he opposed any bill that "will fund Islamic teaching," the Associated Press reports. "I won't go back home and explain to my people that I supported this," he said. "It'll be the Church of Scientology next year," Democratic state Rep. Sam Jones told AP. The Islamic School of Greater New Orleans withdrew its request for vouchers before the bill went to vote.